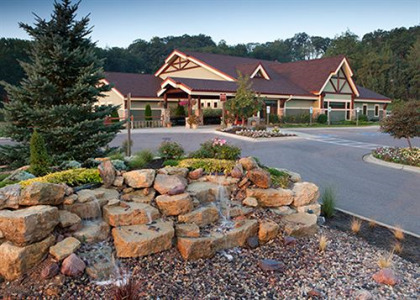 In the beautiful Wisconsin Dells, the 800-plus-acre Bluegreen Christmas Mountain Village offers an ideal getaway for family holidays and getaways, romantic escapes, or any time you and your buddies need to enjoy life in the great outdoors. 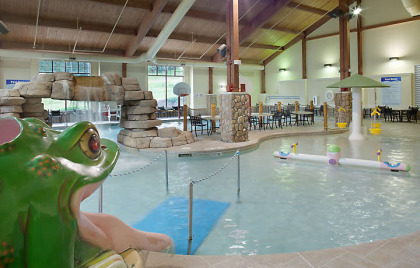 With an eighteen-hole golf course, swimming pools, sports courts, tennis, baseball, fishing, and paddleboat and kayak rentals, Christmas Mountain makes it easy to love every minute you spend at this year-round Wisconsin vacation ownership resort. Would You Ever Spend Christmas at Bluegreen Christmas Mountain Village? You’ll answer “yes” as soon as you see how charming this property is with a fresh blanket of pristine snow. And if you love winter sports, you will find yourself vacationing there as often as you can to enjoy cross country skiing, snowboarding, downhill skiing (including night skiing), snow tubing, and lessons at the resort’s onsite ski school. 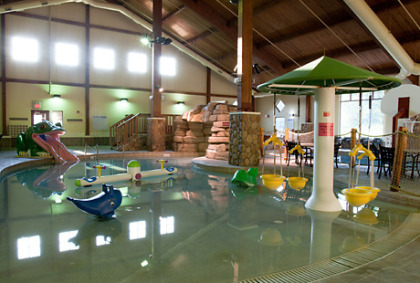 Even if your idea of a winter holiday doesn’t focus on this Bluegreen timeshare’s fifteen downhill ski runs (from beginner level to black diamond), you can still take advantage of the property’s indoor pool and fitness center or all the winter-season fun of the Wisconsin Dells, including indoor water parks, shows, shops, and plenty of great venues for wining and dining. 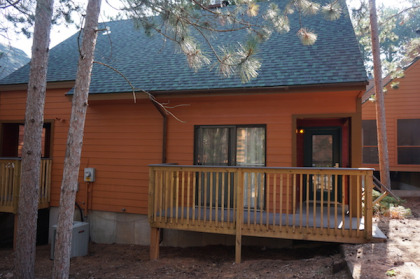 Cabins, cottages, townhouses… it’s easy to pick vacation accommodations to fit your preferences and needs. At this Bluegreen timeshare resort, you have plenty of options in one-, two-, and three-bedroom floor plans. And every timeshare unit at this four-season vacation spot has a fireplace and a well-equipped kitchen, with some units featuring a dishwasher and an in-suite washer and dryer. With multiple designs and added combinations through lockoff plans, the timeshare resales and rentals offer twelve different options in accommodations. Ultra-spacious three-bedroom townhome style timeshares are the largest option, with two level of vacation space and 1600-square-feet. The first floor features the main entry, a large bedroom with private sitting area, bathroom, kitchen, living and dining area, and a patio with grill along with a lockoff that adds a second living area, a smaller kitchen, a private bedroom, bathroom, and a second deck. Upstairs, in the loft, you’ll find a third bedroom, bathroom, and the laundry room. Contact Bluegreen Resort's Christmas Mountain Village Specialist Today!